Today’s courtrooms demand technical, medical and financial expertise, especially in catastrophic personal injury and wrongful death cases, or litigation involving substantial economic loss and damages. When large multi-national corporations, government agencies, or powerful insurance companies are involved, personal injury lawyers, as well as attorneys representing consumers and businesses, have to be prepared to address a number of scientific issues in order to level the playing field for their clients. Experienced in individual and class action lawsuits, Robinson Calcagnie, Inc. has the requisite expertise and resources essential to establishing a balance of power in the courtroom. We oversee our own evidence and testing warehouse where we store critical evidence such as vehicles involved in accidents. This allows for the preservation of evidence, and helps our expert witnesses conduct investigations, inspections and necessary testing. 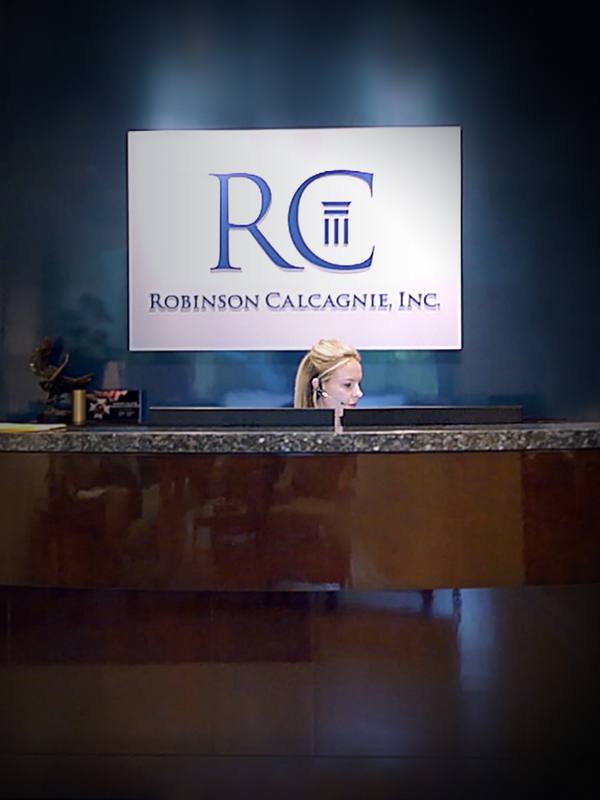 At Robinson Calcagnie, Inc., we understand that in litigation our clients’ futures and well-being often hang in the balance. Therefore, we take every measure possible to ensure our clients receive the attention to detail necessary for successful resolutions. Our experienced personal injury lawyers put clients first, keeping them involved and informed while protecting their interests and rights. We believe there is no other way to serve our clients. To schedule your free consultation, please contact us today at (888) 348-8855 or online. Our firm represents clients throughout Orange County, Los Angeles County, Riverside County, San Bernardino County, and across the nation.